The complete cancellation of the operational support for the Czech renewable sources which was a political reaction to the disproportionate photovoltaic support in the years 2010 and 2011, influenced all project investors from individuals and communities to big energy companies. In 2018, the Ministry of Industry and Trade has begun working on a new bill for support of renewable energy sources which could finally break the stagnation of the sector. A third (33.1%) of electricity last year was produced by renewable energy sources in the neighbouring Germany. The share of renewable production in domestic consumption is even higher (36.5%), as Germany is a major exporter of electricity. The Czech Republic is a sad contrast to dynamic Germany. Since 2013, the production of renewable electricity stagnates, it has reached only 11% in electricity generation (13% share of domestic consumption). EU reports a total of 15,680 megawatts of newly installed wind power plants last year, a new historical record. In total installed capacity, wind power plants have remained the second most widespread source of electricity in the EU and the share of wind electricity in EU sockets last year reached 11.6%. In the Czech Republic, the situation differs drastically. Since 2013, when the state support for all renewables was stopped and never restored for wind energy, the only new wind turbines of 26 MW have been erected last year in Frydlant area. This project is one of a few, which got the support before 2013 and are still eligible to be realized. The renewable sources go through a dynamic development worldwide and it is mainly thanks to the support schemes that balance the incentives for the fossil fuels industries. The aim of the Czech Ministry of Industry and Trade to reintroduce the support for new renewable sources comes a little late, but can become an important impulse for the whole sector. Hnutí DUHA advocates for the proposal to reflect the latest experience of European countries. It is to be built on the auction system for big projects, while small projects, including community investors, should be eligible for an auction exemption and a green bonus under the support scheme established before 2013, in line with European rules. Desirable small projects would not succeed in the competition from a purely financial point of view, and so they need to be removed from the auction system. 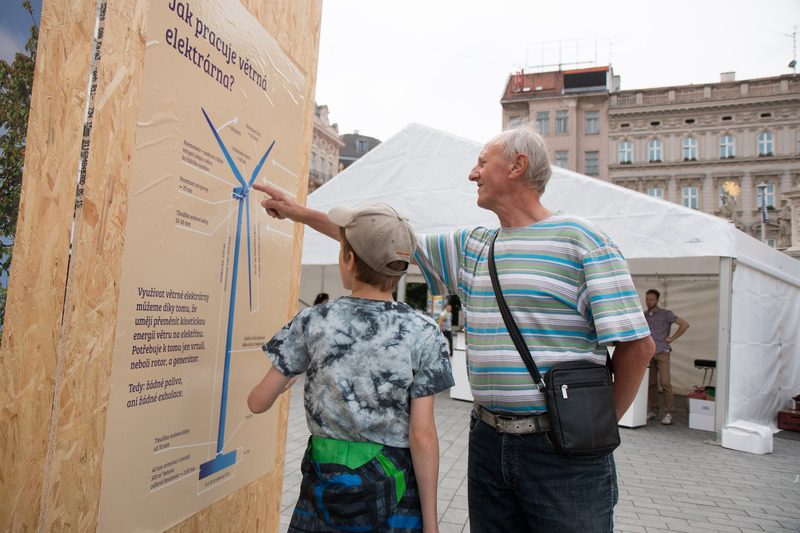 The year 2018 is an important milestone for renewable energy in Czech republic. A brand new climate-energy policy has to be drafted and the law on state support for renewable sources of energy is on the table. The Czech government has a chance to return on the path of developing clean energy and allowing all citizens to benefit from it. Moreover, these developments in the Czech Republic are happening at a time when the European Commission is trying to harmonise and streamline the different national rules for supporting renewables. The recent Renewable Energy Directive, currently still under negotiation between the European Parliament and the Council should provide a framework for support schemes, for example by promoting small scale renewable projects. Even more current is the debate on the next EU Budget after 2020, which provides a unique opportunity for securing support for renewables within the EU programmes. The budget should indeed support renewable energy producers in general, but should also provide innovative financing for communities wishing to invest locally in renewable energy. The European Commission said that it wanted to place citizens at the heart of the energy transition; to achieve this goal, it is vital to support to local energy communities and renewable producers through specific instruments or via the cohesion policy and to make the next EU budget much more open to citizens, communities and local authorities.